Heart and Health related information which (hopefully) extends Your life span! This is a new Blog which will have lots of Articles. Please leave feedback and help the Site grow. We’ve all heard the “…Oh no! Not that again…” when faced with more undistinguished meals for dinner. These suggestions can add a little spice to tired palates and help you spend less time in the kitchen. • Turkey Hash with Sweet Potatoes and Onion. Heat oven to 375 degrees. Melt one half of the butter in 3 quart sauce pan until it sizzles (reserve the other half for bread crumb topping). Add broccoli, corn, turkey, onion, cooked noodles, salt and pepper. Mix well. Remove from heat and add beaten eggs. Spoon mixture into two quart casserole dish and mix remaining butter and bread crumbs. Spoon bread crumb mixture over top. Bake forty to forty five minutes or until knife inserted in middle of casserole comes out clean. Let stand five to ten minutes before serving. Serve with soup of your choice (tomato soup works well) and biscuits. Heat oven to 375 degrees. Butter shallow baking pan. In medium size skillet heat oil over medium heat until it sizzles. Add mushrooms and onions, sauté until onions are soft stirring occasionally so the mushrooms brown evenly. Add balsamic vinegar and coat thoroughly. Add turkey and chicken stock. Cover and reduce heat to simmer. Simmer (stirring frequently) approximately eight to ten minutes or until liquid is reduced to a glaze. Remove from heat. Place zucchini in baking pan and fill hollow cavities with mushroom and turkey mixture. Pour tomato sauce over stuffed zucchini. Top zucchini with bread crumbs. Bake thirty five to forty five minutes or until zucchini is fork tender. Serve on bed of white rice with refrigerator dough soft bread sticks baked according to package directions. Patricia de Jerez. Your Gift Closet opened in 2000 and we’ve been on line since 2006. Visit us at www.yourgiftcloset.com. We carry a variety of kitchen décor and accessory items. Use coupon code KITCHEN for an additional 5% off any purchase. Always free shipping for purchases over $75. We offer a 30 day money back guarantee. This article may be reproduced ONLY with this resource box intact and included. My Late Wife Millie and myself. Love and Miss her Very much! Speech Therapy and Other Topics. Subscribe to Help Prevent Heart attacks. I'd just like to take this opportunity to Welcome all my Family and Friends (and anyone else for that matter) and to thank you all for reading my Posts. 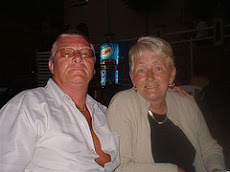 This Blog started off as a page for the loving memory of my late Wife Millie! who passed away 29 Dec 2009 at the Manchester Royal Infirmary. She had an Aneurysm in her Aorta and had just undergone surgery to install "Stents" by way of "Keyhole surgery", the exact details are below in one of the posts. She had had Heart problems for a while, she had a quadruple bypass about 15 years ago and 1 Major and 4 minor Heart Attacks over the last 18 years or so. So I thought by starting this Blog that I could keep Millies memory going and also bring awareness to other people about what it means to have a "Healthy Lifestyle" and to try to prolong their life for as long as they can. Everything on this page is optional - I have donated to the British Heart Foundation - You may do so if you like - it's entirely up to you - Their help saves lives and may eventually save Yours! And for our American cousins - there is also a Heart Foundation for you guys to donate to if you wish. The "Buttons" lead to my Paypal account which will be transferred to Your chosen Heart Foundation - British - US - Canada - Austrailia - Europe - Asia -Anywhere you choose. I have also started Healthy Eating posts - Dieting - Calorie counting - Recipes - all to do with You and Your Bodies Health.... What I will do is start another Blog - I will put the link to it on this page and it will be a Blog where You will be able to swap your favourite Recipes - But Please -DO NOT TAKE THEM WITHOUT PERMISSION! If they are for your own use - that's fine - What I mean is: if you find a Recipe somewhere on the internet ie: a Blog or a Article Membership site etc... Please make sure You get permission to republish it on my blog (or anywhere else) Most Article sites let you republish (copy) their- articles - recipes - etc.. as long as you leave the authors resource box intact (their name and the address of their website) You will see that in some of my posts where I have taken it from another site and left the details intact. I am a member of a couple of Article sites and do have permission to use the Articles. If you contact me I can give you more information. Please leave a comment including your name (and details if you want me to reply to you) so I know this Blog isn't in vain. Ellen DeGeneres - "In the beginning there was nothing. God said, 'Let there be light!' And there was light. There was still nothing, but you could see it a whole lot better." Arthritis - Heart and Other Medical Conditions. Check out All Breastfeeding links on my Index Page. Bad Fat - Good Fat..
Heart - Angioplasty and Stent insertion! Learn Spanish - Free Course!! Buy homes for Cheap - Sell for Big Profit! I started the "Help Prevent Heart Attacks" blog as a Tribute to my late wife "Millie" who suffered 5 Heart Attacks during her life. She also had a Large Thoracic Abdominal Aneurysm which was operated on. The "keyhole Procedure" took 13 1/2 hours to complete. But very regretfully after 3 months in Hospital she passed away. Join my Free Newsletter - for Moneymaking offers..